Learn to use all the great features of your iPhone to capture amazing photos and videos! It has often been said that the best camera is the one you actually have with you. For many photographers the camera we carry most consistently is an iPhone. The iPhone is a sophisticated device that can perform a variety of tasks, including capturing beautiful photos and videos. I’ve found that many photographers are not aware of the many simple yet powerful features available in the Camera app for the iPhone. 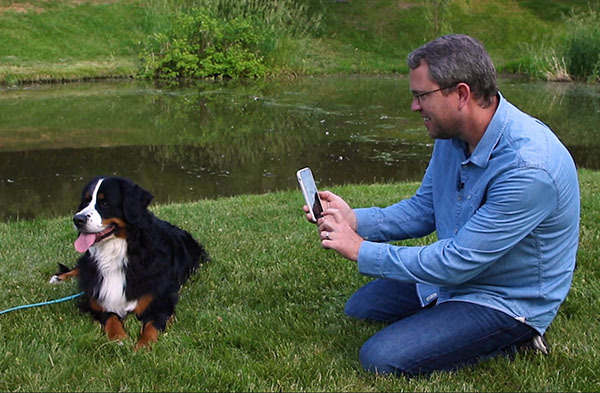 In this course, I’m going to help you better understand all of the features that make the iPhone a great camera. I’ll also show you some great shortcuts to make capturing photos with the iPhone more convenient and enjoyable. In addition, you'll learn some of the more advanced capture options, such as ways you can speed up or slow down time when recording a video. And I’ll show you a variety of creative ways you can use the iPhone to capture photos and videos you’ll be proud of--and that will impress your friends and family! So, if like me you carry an iPhone just about everywhere you go, and you enjoy capturing photos and videos, this is the course for you. I invite you to join me as I explore the incredible Palouse region of eastern Washington State with my iPhone in hand, helping you learn to make the most of the iPhone for capturing great photos and videos. Tips for quickly getting to the Camera app and capturing photos with your iPhone. Configuration options for the iPhone Camera app. How to use all of the capture modes available in the iPhone Camera app. The three video "speed" options you can choose from. How to adjust (and even lock) the exposure for your photos. What a "Live Photo" is, and how you can add creative effects with this special capture option.